Installation of scores of full matrix LED and TFT passenger information displays is well underway at TransPennine Express stations, bringing the presentation of travel details right up to date. Rail staff and passengers have already the displays, designed and manufactured by Infotec and supplied to fulfil an order from Linbrooke Services. It is a decade since Infotec provided large format platform displays for TPE stations and although still fully operational they are being replaced as part of a huge upgrade. Stations receiving new displays include Cleethorpes, Grimsby, Huddersfield, Hull, Manchester Airport, Middlesbrough, Scarborough and Scunthorpe. Infotec products being deployed include FM28L, FM40P, FM42A and FM55P, all with white LEDs, which have been well received for their modern appearance and improved readability. 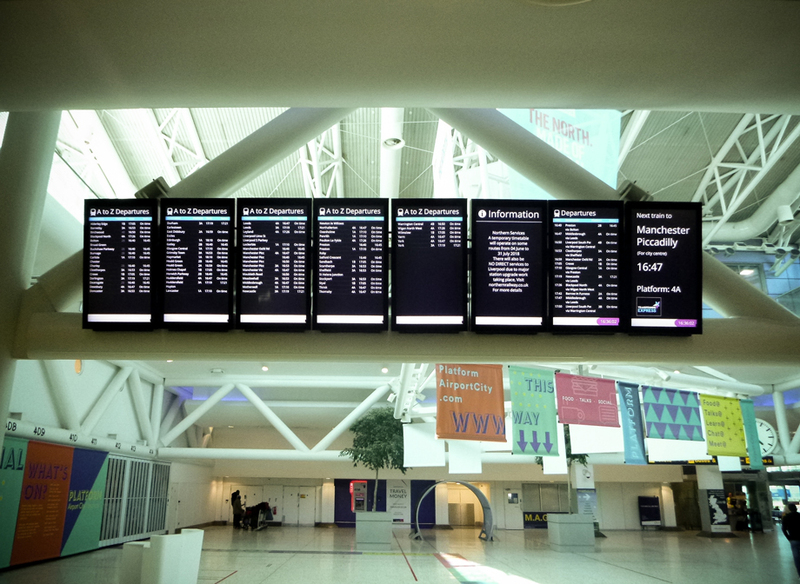 In some locations, banks of TFT displays have been installed to create new main board summary of departure displays. Hull is a typical example where 42” TR42P displays have transformed the concourse. Alongside the passenger information displays, Infotec has designed and manufactured structural steelwork, including bespoke designs, to support the displays. Installation of the displays is expected to be complete shortly, with the final steelwork, for Manchester Airport’s main board, having gone out from Infotec at the end of May.